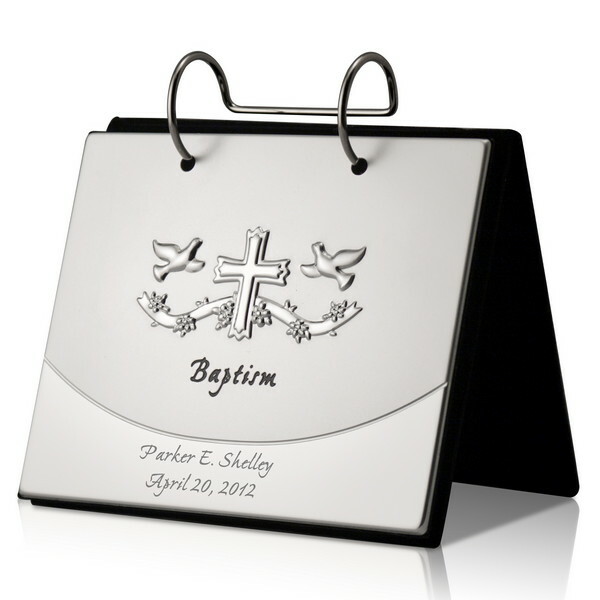 This personalized baptism photo album is a wonderful gift to give a newly baptized baby, or the parents of the baby. 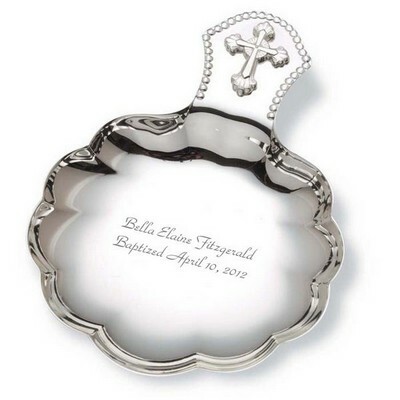 This is a great gift given from the child's godparents or grandparents alike. 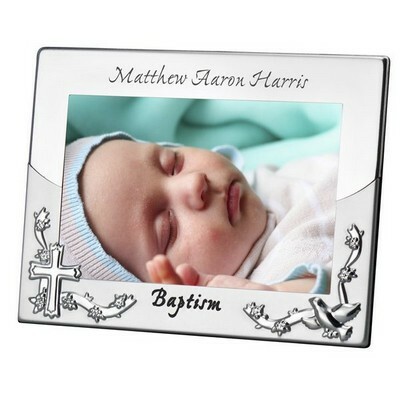 Giving this flip photo album is a special way for you to show the recently baptized baby your love and support for their faith in their life. 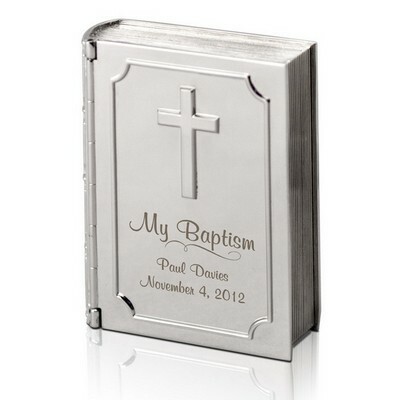 Baptism is an important and special first step in the child's spiritual life; this flip photo album will display the whole special day. 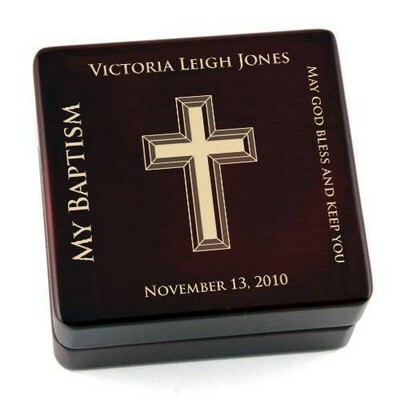 The tabletop flip album has an embossed cross and doves on the cover, with the word "Baptism" written below the symbol. 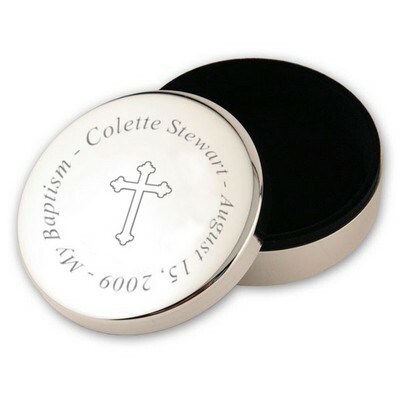 At the bottom of the metal album cover is the space for you to personalize this gift. 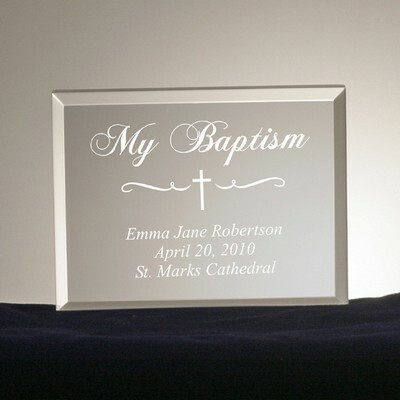 There is room for up to 2 lines of text to be laser engraved. The personalized baptism tabletop flip photo album can hold up to 40 photos measuring 4" by 6". 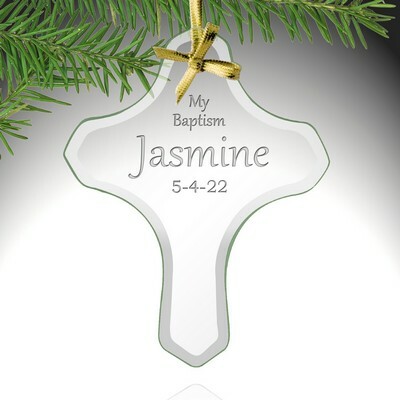 The personalized baptism gift is a great size to be left out on display. The overall measurements of the album measure 6 1/2" by 6 1/2". 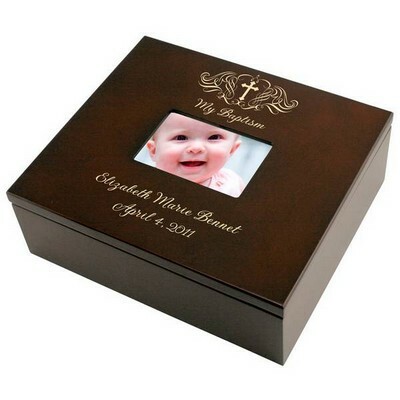 This is a great gift for such a special occasion. Give this album to mark a great day and give the ability to look back on this special day over and over again. 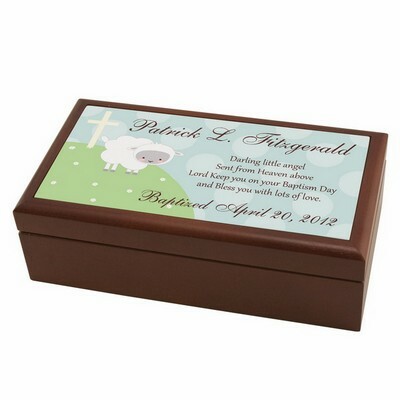 Personalize this gift with two lines of text. You can earn 36 MG Rewards Points on this product! 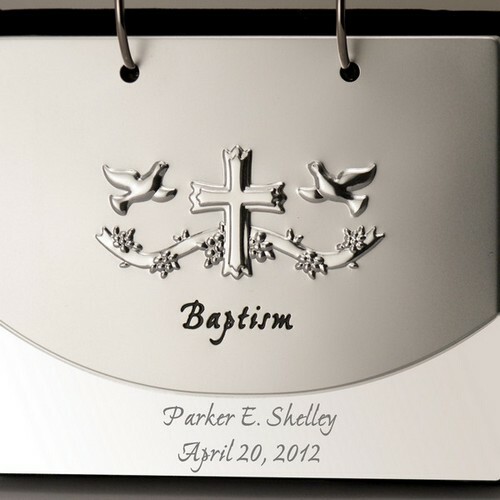 Comments: I love the Personalized Baptism Flip Photo Album. It looks beautiful and arrived super fast! 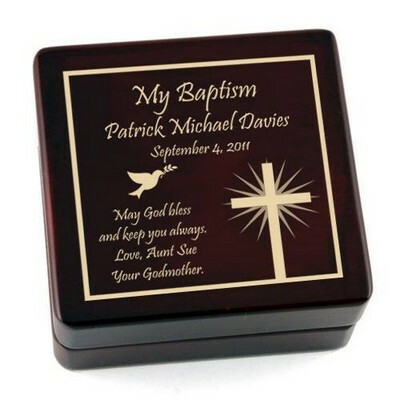 I have ordered from memorablegifts.com several times, and have never been disappointed! Comments: What a beautiful presentation and gift. Highly recommend this purchase. 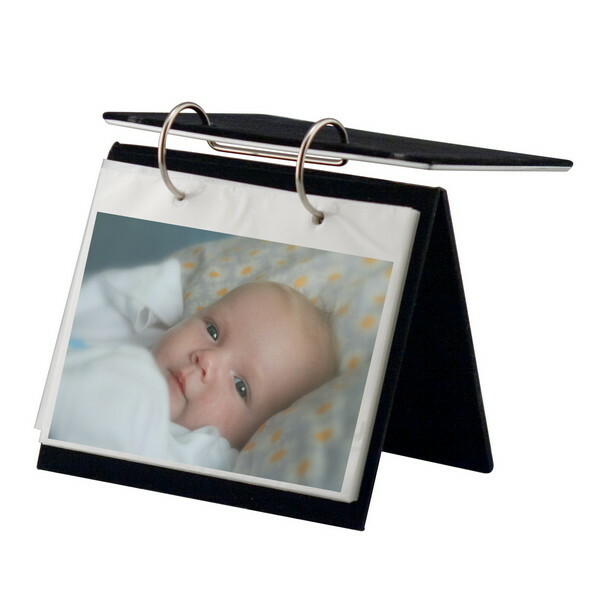 Easy to order, and shipped quickly.